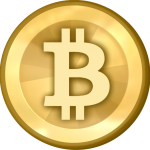 Spend Bitcoins is free for users and also allows free merchant listings. This means our revenue comes from premium listings, affiliate marketing and ad networks. As an alternative to google ads, Spend Bitcoins is currently reviewing CoinURL and Anonymous Ads. All ads on both CoinURL and Anonymous Ads targets bitcoin users. Over the next week, we will add CoinURL to half our posts and Anonymous Ads to the other half. We will make all ads the same size and they will all be placed at the bottom of posts. On the 14th of October, we will review the results of the two sites side-by-side to see which had better results from the 13th of September, 2014 to the 13th of September, 2014. We will also compare this to our google ad results from our places and products pages. What are CoinURL and Anonymous Ads? CoinURL and Anonymous ads are both ad networks similar to google adsense. They allow merchants to buy ads and content publishers to earn bitcoin by placing these ads on their sites. The main difference between these two and google adsense is that all ads served by CoinURL and Anonymous Ads are targeting bitcoin users. CoinURL and Anonymous Ads work slightly differently from each other in the way they pay. CoinURL, like google adsense, pays per click. It does not matter how many times their ads are shown on your site, you are only paid when people click on the ads. Anonymous Ads, on the other hand, pays per ad displayed. It does not matter how many times people click on your ads, you are paid each time an ad is loaded. In some ways, Anonymous Ads is more fair. This is because the way advertising works is by repeated exposure. Just because someone does not click on the ad does not mean it has not planted a seed in their mind that may lead to them buying later. Additionally, paying per display guards against “click farms” where naughty content creators pay people to click on ads on their site. On the other hand, CoinURL offers another great service that could earn you extra money. CoinURL has an additional url shortener service similar to adf.ly. When you shorten urls using CoinURL, an ad is placed between the linked from site and the landing page. You are paid a small amount of bitcoin for each click through this ad. This is a way you can earn bitcoin without even having your own content, simply by linking people out to great content. And CoinURL has a plugin that makes this super-easy. You just click on the plugin from any url you want to shorten and it automatically copies a short link to your clipboard. This is worth it just for the ease of url shortening! It also appears that CoinURL has far more advertisers on board currently, as Anonymous Ads keeps delivering ads for itself on our page. So, which is better for content creators, CoinURL or Anonymous Ads? Or is neither as well-paying as google ads? Only time will tell. I’ll report back in just over a month. They are both free to join, so if you would like to perform your own tests, go to CoinURL, Anonymous Ads or both to set up your own free account now. Thanks for reading. If you have any questions, or you have experience with either CoinURL or Anonymous Ads, please comment below. We would love to hear from you!